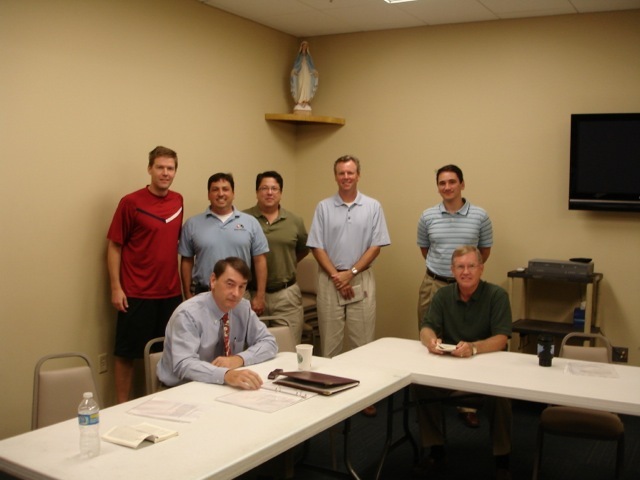 The Men of St. Joseph is a group of Catholic guys dedicated to being the spiritual leaders of our families while becoming the best versions of ourselves. The Men of Saint Joseph meet every Wednesday Morning from 6:30-7:30 a.m. in the Parish Center, Room 2. All men are encouraged to attend the 7:30 daily mass after the meeting. The format of each meeting is based on the Magnificat with prayer and discussion of the upcoming Sunday readings. Contact: John Ebberwein or Ross Daniel.